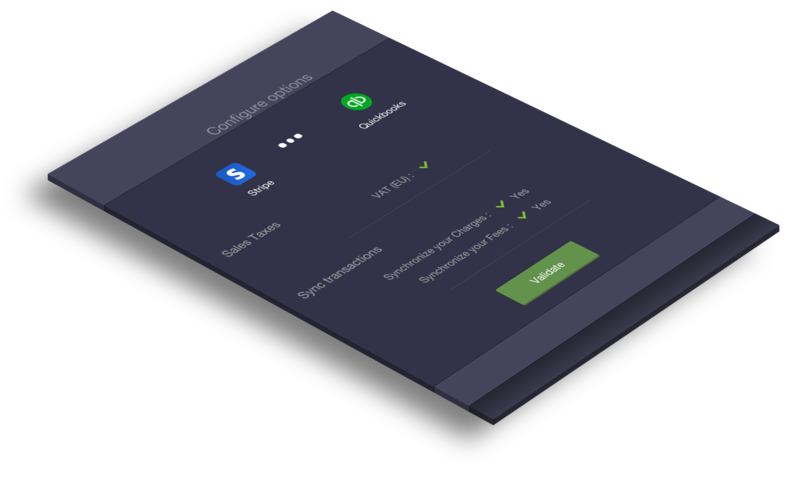 During the first execution of the automation, Sush.io creates a payment Method ‘Stripe’.For the Stripe Fees, you can decide to hit one of the account already created in your QuickBooks account, or to use a default account ‘Stripe Processing Fees’ created by Sush.io.At last, by default Sushio creates in QuickBooks a vendor called ‘Stripe Payment Gateway’ and a generic Item called ’Stripe Sales’ (you can still decide to use one of your choice). The charges are created as Sales Receipts in QuickBooks.You can define during the setup whether you want Sush.io to create all your customers coming from Stripe or a single customer for all your charges. We keep the charge reference in the Sales receipt and the description comes directly from the subscription plan title or the charge description in Stripe. 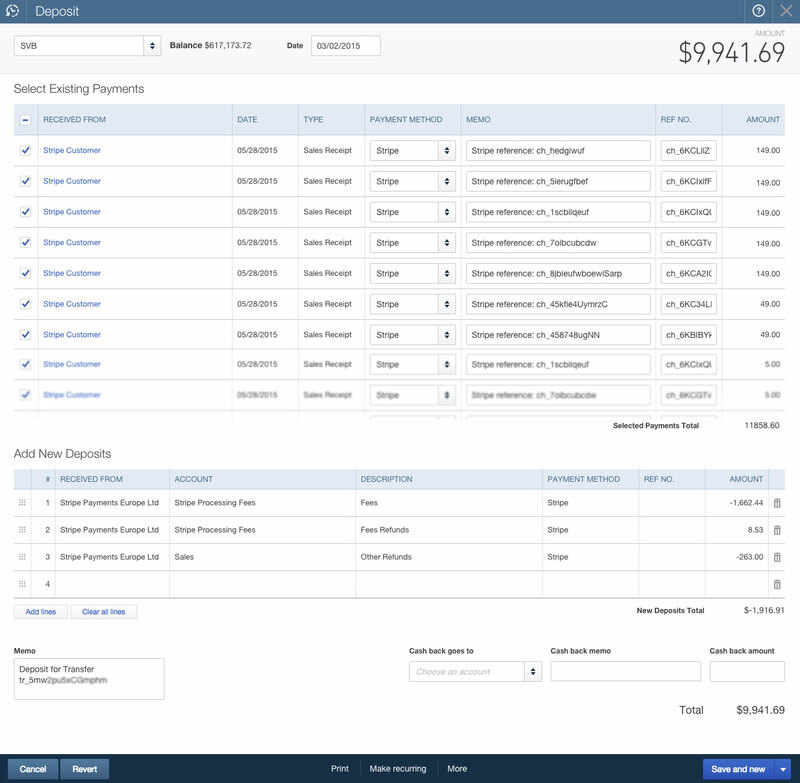 The Stripe refunds are created as Refund Receipts in QuickBooks. 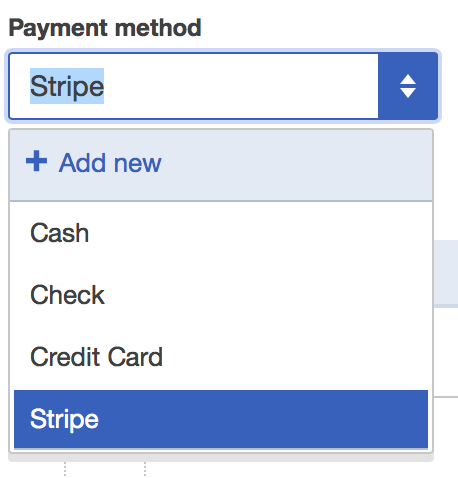 The refunds are processed to the customer in QuickBooks if you chose to synchronize all your Stripe customers. 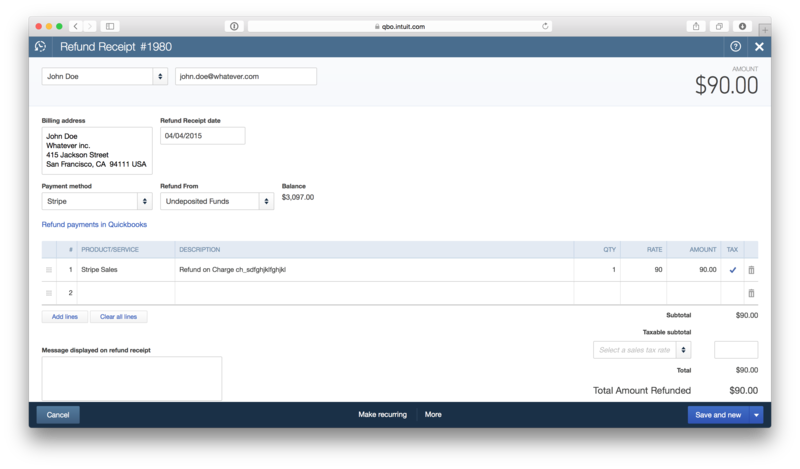 For each Stripe transfer to your bank account, Sush.io automatically creates a deposit in QuickBooks with all matching Stripe Data (charges, fees and refunds). The account of the deposit will be linked to the bank account chosen during automation setup. The deposit captures Sales Receipts & Refund Receipts previously created, but also the Stripe Fees, Fee Refunds, Adjustments and Collected Fees for the given Stripe transfer period. Each corresponding to separate deposit lines.